The original rich and deliciously creamy non-dairy creamer. 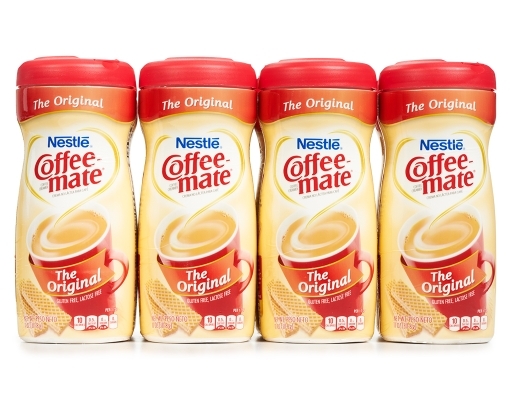 Perfect anytime you want to enjoy a velvety-smooth cup of coffee. 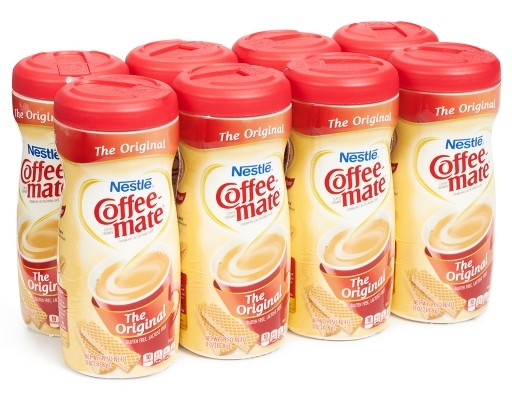 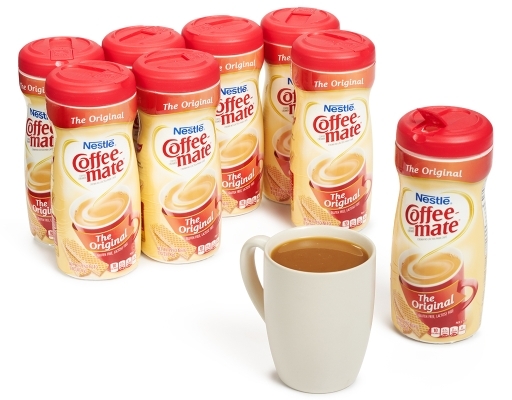 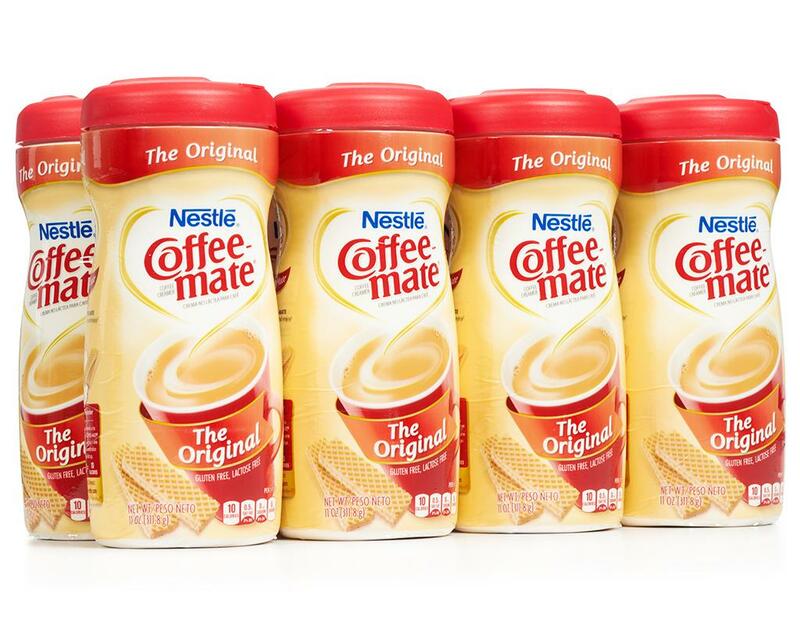 Enjoy the smooth flavor, the velvety texture of Coffee-Mate. 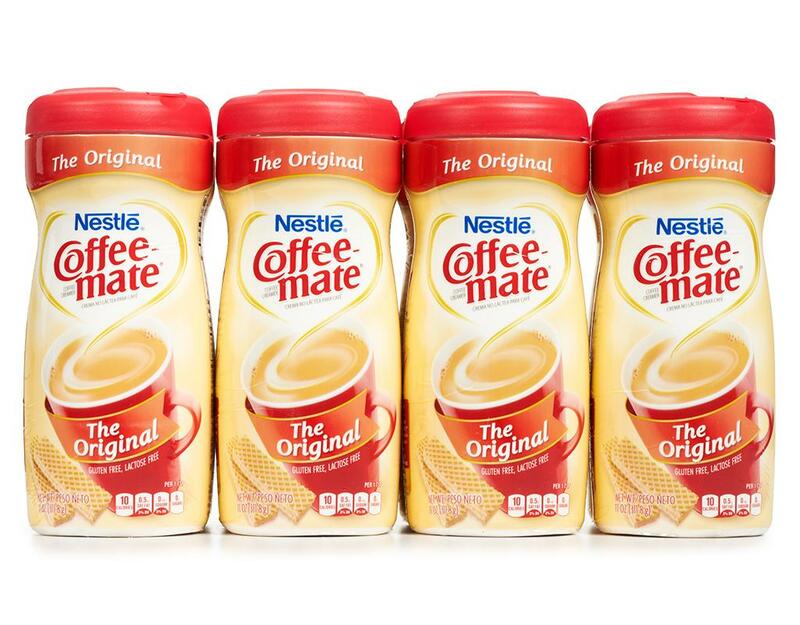 It’s the perfect cup of coffee. 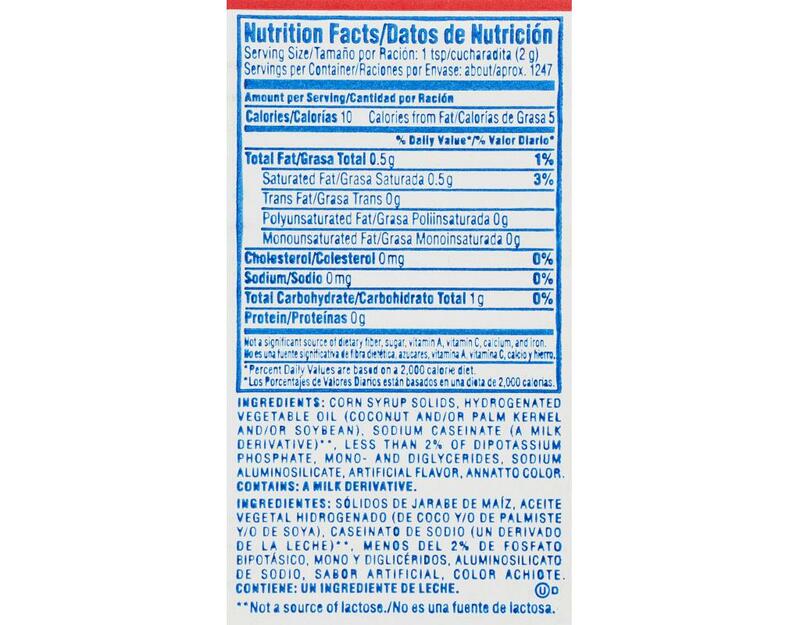 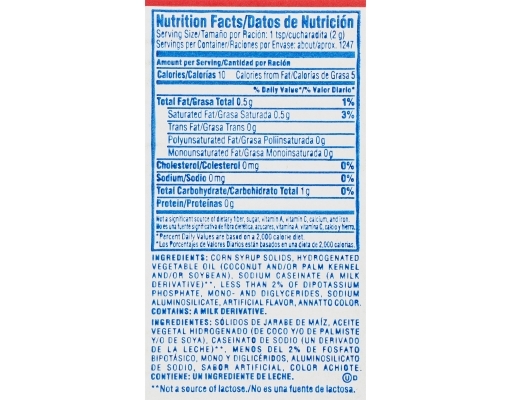 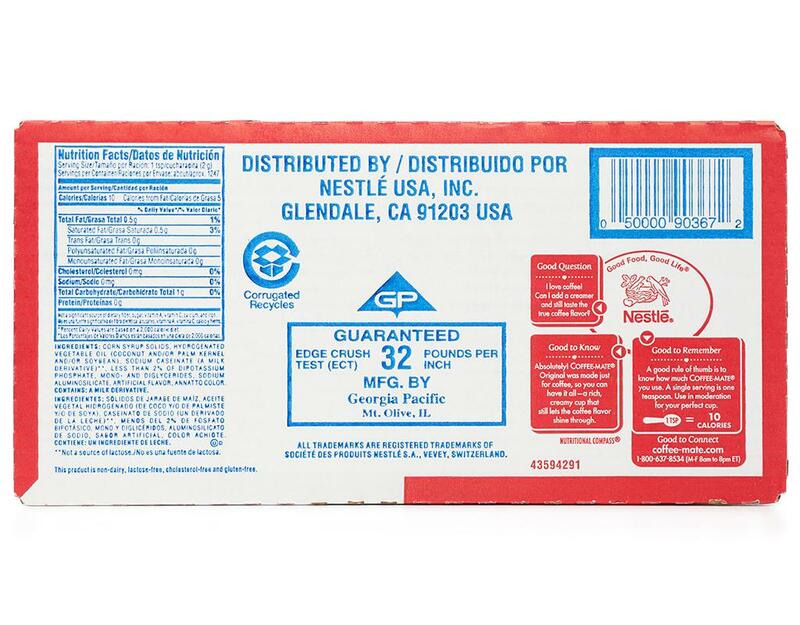 Corn Syrup Solids, Hydrogenated Vegetable Oil (Coconut And/Or Palm Kernel And/Or Soybean), Sodium Caseinate (A Milk Derivative)*, Less Than 2% Of Dipotassium Phosphate, Mono- And Diglycerides, Sodium Aluminosilicate, Artificial Flavor, Annatto Color.